I am staying true to my heavy metal roots, just leaving the spotlight so to speak. I am passing the torch to the super talented Alissa White-Gluz, whom I’ve known as a dear friend and a superb vocalist for many years. I always thought she deserved a chance to shine - and now she’s getting it. Just like I got that chance back in 2001. I want to thank all ARCH ENEMY fans, our labels Century Media (worldwide) and Trooper Entertainment (Japan), our dedicated road crew, and in particular Michael, Daniel and Sharlee for their love and support throughout all these years. It’s been one hell of a ride! We conquered every situation, made it through thick & thin together in the most exciting and rewarding time of my life. Thank you all for being there with me on stage, in front of the stage, and backstage. You have touched my heart, and I hope I was able to give something back to you. I am grateful for the wonderful memories - I will cherish them forever! "I am very honored and happy to announce a new chapter in my life and musical career beginning now; I have joined forces with one of my all-time favorite and globally respected bands, ARCH ENEMY. ‘Wages of Sin’ was the first metal album I ever bought, and it was love at first listen. It is not often that you get a phone call from your favorite band asking you to join! I am thrilled to have the opportunity to work with such amazingly talented musicians whom I also consider great friends. 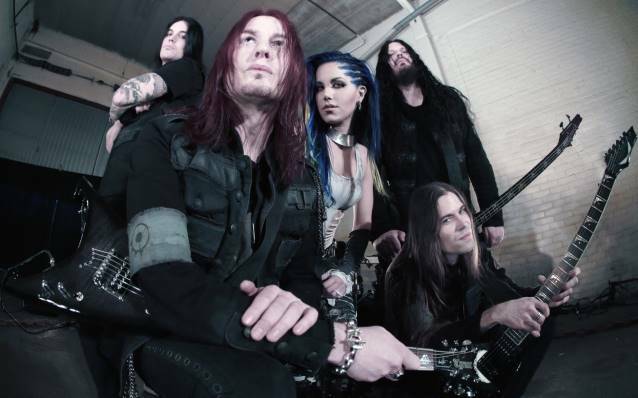 I look forward to being able to write and perform at a whole new level now with ARCH ENEMY! Music is forever, metal is limitless and this is only the beginning!"